Whether you are shopping for a child or yourself, there are plenty of piano books out there. Here are my top picks for the best books for learning piano. If you’re after a single book that will teach you how to play piano regardless of your age, experience, or intent, I must regretfully inform you that a one-size-fits-all piano book doesn’t exist. There are of course good piano books and bad piano books, but there are also books that best fit what you’re looking to learn as a player. And that’s hopefully why you’re here - this article will help you figure out what learning level you (or your student or child) are at, and what kind of learning would be best for your given situation. Starting off at a young age is a great way to give a student a head start on mastering the piano - it also encourages developmental skills and gives children a healthy appreciation for the arts. However, not all beginner’s piano books are created equal - this list isn’t in any particular order of quality, but it does contain the top three piano books for kids on the market today. I’ll discuss how each book approaches teaching, as well as some of the things each book does best - in order to help you decide which choice would be the best fit for your needs. About This Book: Teaching Little Fingers has been around for many a decade in various forms of publication. It is a true beginner’s foray into the world of piano - it’s extremely kid-friendly, with a charming collection of colorful characters lining the pages, helpful notes for parents looking for a hands-on approach to teaching their child, and a healthy variety of lessons to keep children interested from page to page. It spans 40 pages from cover to cover, and certain versions will include a play-along CD of the lessons. What It Does Best: Teaching Little Fingers To Play has a reputation for being easy to teach and easy to learn, and it’s well deserved. It starts off with named notes from the get go, rather than finger placements - saving a confusing transition when moving to more advanced material, something that other teaching books can neglect. It also has a companion book for teacher accompaniments, which has a number of duets for a parent and pupil to play together. If you’re looking for an easy to learn, time- tested piano book for children,Teaching Little Fingers To Play is a fantastic option - as well as extremely economical. What It Doesn’t Cover: Being one of the more basic children’s piano books, Teaching Little Fingers might fall short of the mark for parents and teachers with more advanced students, or children over 12-14 years of age. However, at a price ranging only $4 to $6 USD, it isn’t a large loss if your child isn’t a fan. Where To Buy: If this sounds like a good fit for you,Teaching Little Fingers to Play can be purchased from Amazon here, or may likely be available at your local music store. About This Book: Piano for the Young Beginner also has a history in the piano world, originally published in 1963, and now are published in 14 languages worldwide. It spans 48 pages cover to cover, and despite the formal title, is a very kid-friendly learning book. Most pages include illustrations, and notes usually have an accompanying song to sing. 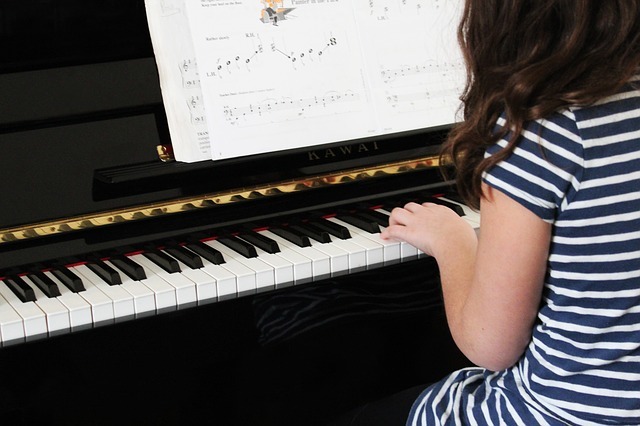 What It Does Best: Piano for the Young Beginner has a few exercises that help the student fill out notes on a staff, which is vital for early concepts. It’s very teacher and student friendly, and keeps a quick pace without rushing the material along or glossing over important fundamentals. With a publication spanning over half a century, it’s no wonder that some piano teachers swear by it. It is expected that the student follow up with Piano for the Young Beginner: Primer B, which reinforces many of the concepts taught in the previous primer with activities and exercises. It ranges from $4-$6 USD, so it’s a very easy way to get your child started on learning piano! 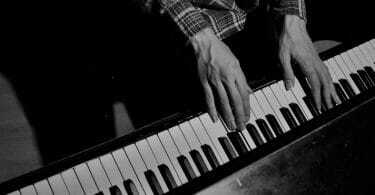 What It Doesn’t Cover: Piano for the Young Beginner doesn’t immediately introduce reading sheet music or notes, but instead focuses on a middle C approach, and moves the finger position to teach other chords before moving on to names notes. This can be a stumbling block for some students, and depending on how your child learns, you may want to start off with another book, or move further along the Primer before going back. Where To Buy: If this book sounds like a better fit for you, it can be purchased here, or found at your local music store. About This Book: Piano-K is a newer book compared to the other ones in this section, but it shows a lot of promise. There are three parts in the series, and Level 1 only uses fingerings for one hand at a time, right and then left. It clocks in at only 14 pages, and has a spanish version also available for purchase. What It Does Best: Piano-K is different in its approach than the other books on this list. It comes with a set of colorful stickers meant to be placed on the keys of a piano, each a distinct shape and color. The sheet music replaces the notes with these stickers, and simplifies the process - it’s an excellent approach for visual learners and children who are easily distracted from memorization. It has a more colorful and dynamic approach to learning the piano that is sure to appeal to the young student, as opposed to more traditional books. What It Doesn’t Cover: Piano-K is one of the shortest books on this list, which makes me wonder if it’s worth it’s relatively large price tag. At $14 to $16 USD, it’s well past the price range for other learning books, and for only a fraction of the pages. However, the reviews are resoundingly positive - noting the immediate results and to-the-point approach works wonders with younger children. Where To Buy: This book may not be as readily available in music stores, but can be purchased online here. It’s an excellent approach for children with ADHD or ADD. About This Book: Bastien Piano for Adults is a thorough approach to learning the piano for older students. It clocks in at a whopping 160 pages, and covers theory, technique, sight reading, and more. It was published in 1999, and includes a wide range of songs over several genres. What It Does Best: Bastien Piano for Adults excels in a few areas, most notably the breadth of information it covers. It has a large volume of songs and exercises that really help to round out a student’s understanding of the piano and fundamentals. Some publications include a CD of the songs and lessons to play along with, which many students find helpful. It also has sections on musical theory, which is an important stepping stone for new to intermediate students. There is a lot of information in this series, which is can be both the book’s greatest strength and weakness. What It Doesn’t Cover: The Bastien series only contains two volumes, but the two together total hundreds of pages. If you aren’t a patient reader, or don’t want such a broad overview of piano theory and technique, this may not be the book for you. Given the volume of material, some students may be discouraged. This series works best when you can take your time moving through the lessons, absorbing the concepts as they are introduced. Where To Buy: The series should be stocked by your local music store, and it is available online here. At the time of publication, prices ranged $14-$16 USD. About This Book: Alfred's Adult All-in-One Course is another thorough overview of piano technique, also 160 pages. It was originally published in 2005, although a more recent edition was published in 2015. It has stellar reviews across the board, and is a favorite of many piano teachers. What It Does Best: Alfred's Adult All-in-One Course does go over the fundamentals for students new to piano, but the progression of difficulty on the pieces is well suited to challenge the average student, without discouraging them from progressing entirely. The pacing of the material means that students can progress very rapidly if they have prior knowledge, without discouraging new learners from progressing through the pages. It strikes a nice balance while covering an impressive breadth of topics. What It Doesn’t Cover: Like the book listed above, there isn’t much that this book fails to address - cover to cover, it touches on most all topics you could expect to encounter as a beginner to intermediate student in varying degrees of detail. However, it doesn’t come with a CD - but as several reviewers have noted, almost all of the material has been uploaded to video sharing sites such as YouTube, and is easy to find. Where To Buy: The series should be stocked by your local music store, and it is available online here. At the time of publication, prices ranged $12-$14 USD. About This Book: Thompson's Adult Piano Course is geared towards students with a bit more prior knowledge at their disposal, as opposed to fresh beginners. If you’re looking to get back into piano after a long hiatus, then this book might be just what you’re looking for. This book is 80 pages, and was published in 2005. 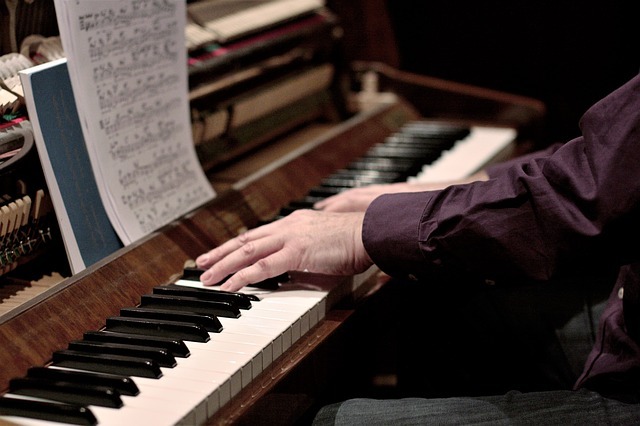 What It Does Best: Thompson's Adult Piano Course focuses less on the beginner’s basics than the other books in this category, and assumes a higher level of knowledge than other beginner books. It respects the student’s ability to pick up the information and run with it, which some prospective pianists really appreciate. It doesn’t hold your hand with the concepts, but rather immediately puts your learning to the test. Many find the teaching approach used to be one of, if not the most effective strategies for adult learners. What It Doesn’t Cover: Thompson’s book is very detail heavy for an 80 page music book, simply because it doesn’t beat around the bush with relaying concepts. This publication is to the point and does not lack for depth or detail. For the student just looking to sit down and learn to play a few songs, Thompson’s Adult Piano Course may prove to be too much at once. If you’re looking for a more casual approach, you might be better served by another publication, such as Alfred's Basic Adult All-in-One Course. Where To Buy: The series should be stocked by your local music store, and it is available online here. At the time of publication, prices ranged $6-$8 USD. Whether you’re looking to teach a child to play for the first time, teaching yourself from the ground up, or looking to relearn how to play piano, I sincerely hope this article has helped you find a book that suits your needs. Finding a book that suits your learning style is a huge help when learning to play. 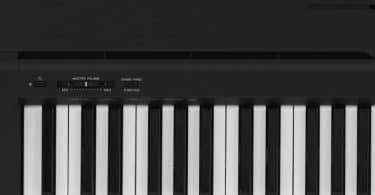 Yamaha P-45 Digital Piano Review – Best Beginner Piano?